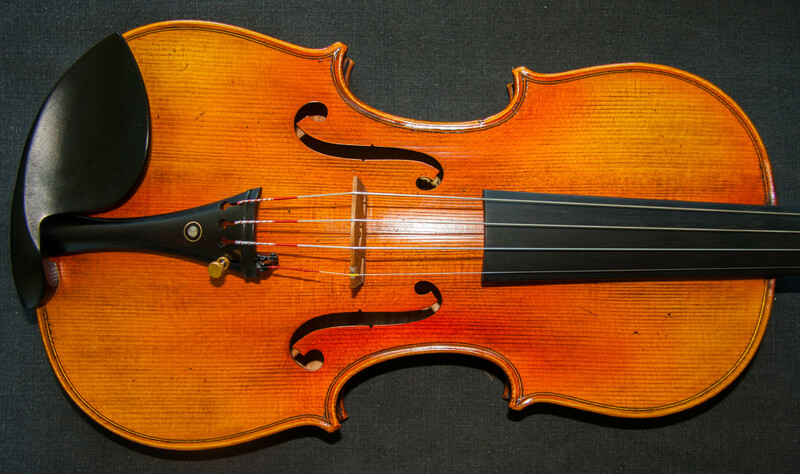 A gorgeous new violin replicating the famous ‘Kruse’ Stradivarius of 1721, with a stunning two piece back that just screams quality from the first time you pull a bow across the strings. 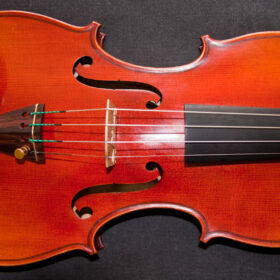 This is a strong sounding violin which has a brilliant tone with nice crisp and clean intonation. 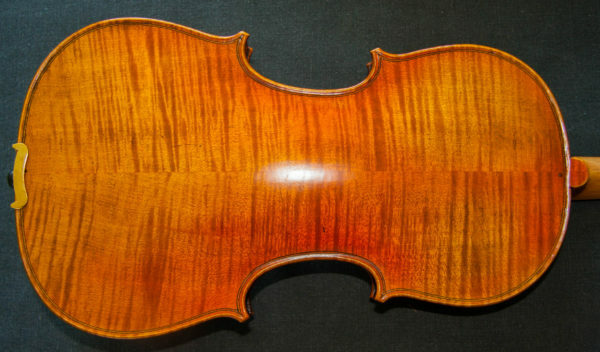 It has a lustrous clear varnish which finishes off this wonderful violin perfectly. 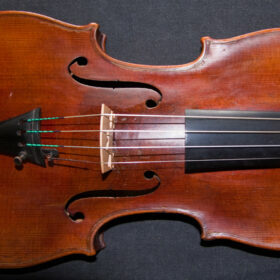 SKU: MAS200003 Categories: New Violins, Violins. 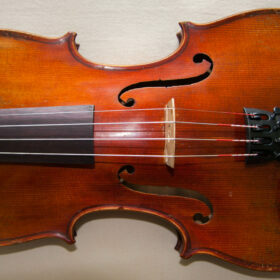 Tags: Antonio Stradivari, contemporary, new violin, Stradivarius, Stradivarius model, The Kruse, violin. Carefully modelled on the famous ‘Kruse’ violin made by Antonio Stradivari in 1721. 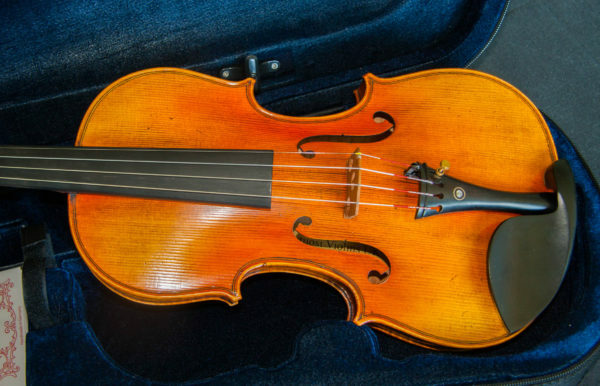 It has been carefully made to replicate the exact dimensions, outline, arching, f-hole style, rib heights and plate thickness distribution of the original famous Stradivarius violin. 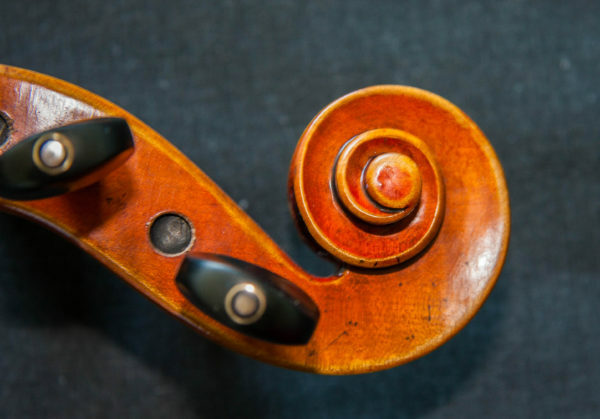 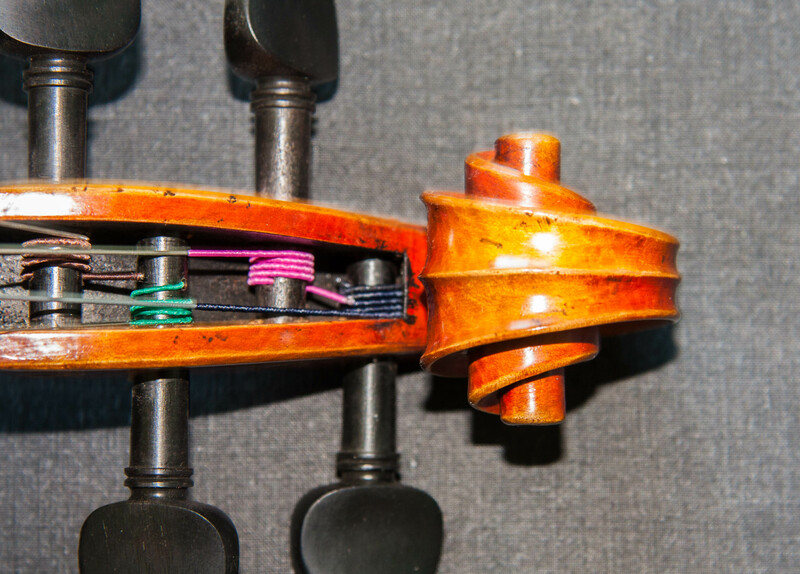 Only the belly has been left a little thicker (few great violins have the belly thickness as it was when made, most have been latterly thinned) as it has been found from many years experience that this gives them a better tone as they mature and which lasts. 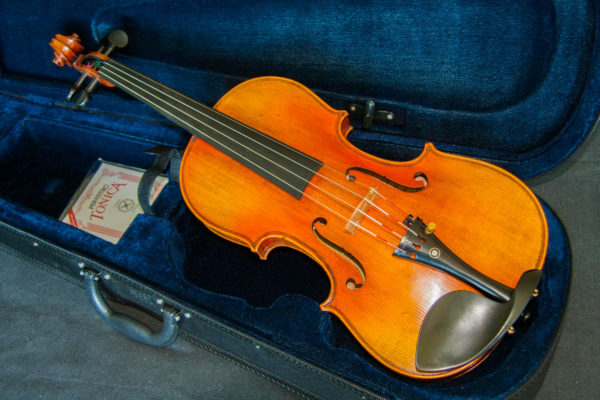 This is a beautiful violin made with high quality spruce and maple, which has been air dried for over 14 years, and finished in an antiqued varnish. 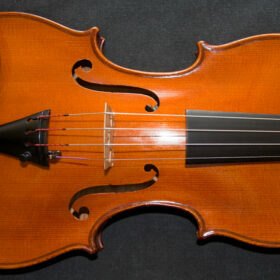 The tone is already wonderful for a new violin and after a few months playing you will have an amazing sounding instrument. 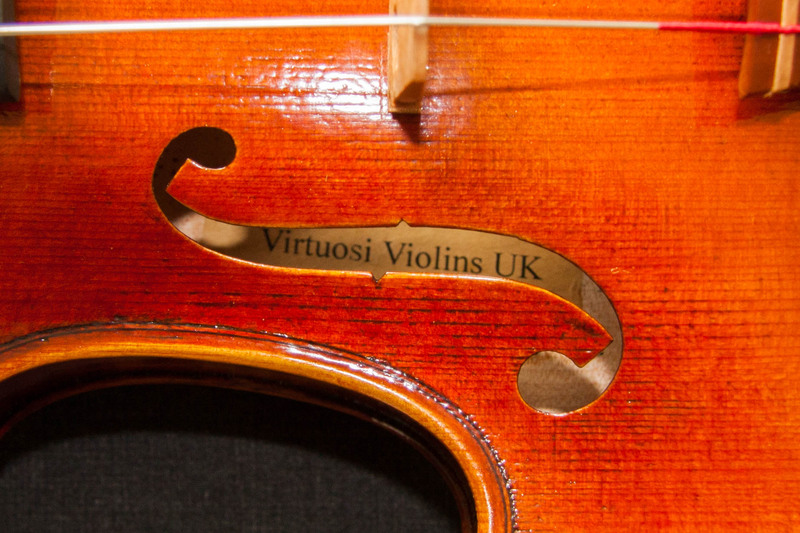 This violin comes with a free upgrade to Pirastro Tonica strings but we believe that this wonderful violin deserves the best quality strings, Evah Pirazzi, which we will fit at the below cost price of only £55 if you Contact Us to upgrade. 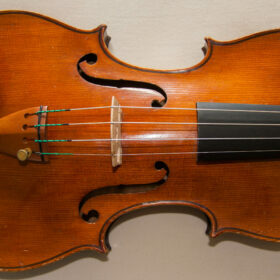 A case is included in the price but no bow. 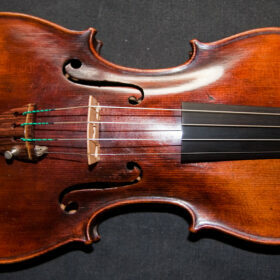 Please Contact Us for bow options at extra special prices.